I’m back with another review. This time it's a foot cream. Honestly for me and I guess for a lot of people foot cream is essential to keep our feet soft and supple. A lot of times we tend to forget to care for our feet, even though we follow rigorous routines for skin and hair, etc. So, all those girls who don’t use foot creams – start using one now. 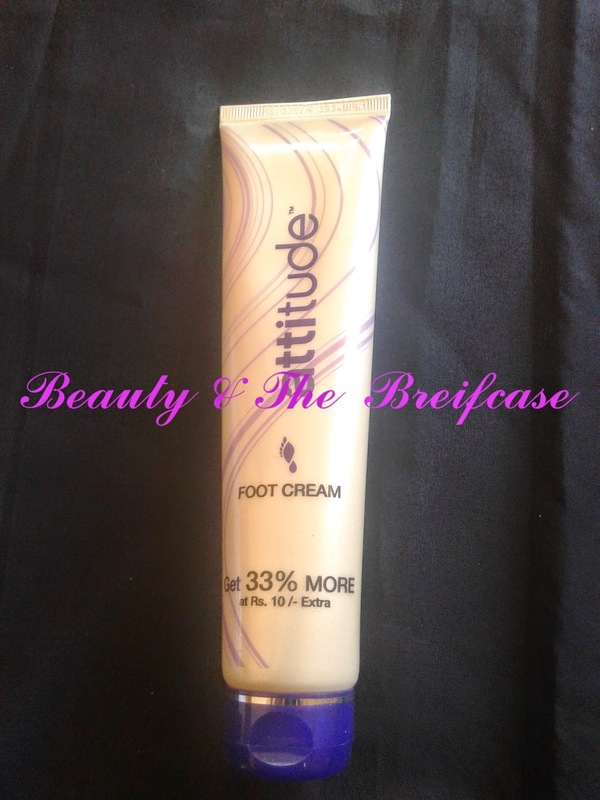 The foot cream I’m reviewing is the Attitude Foot Cream by Amway. 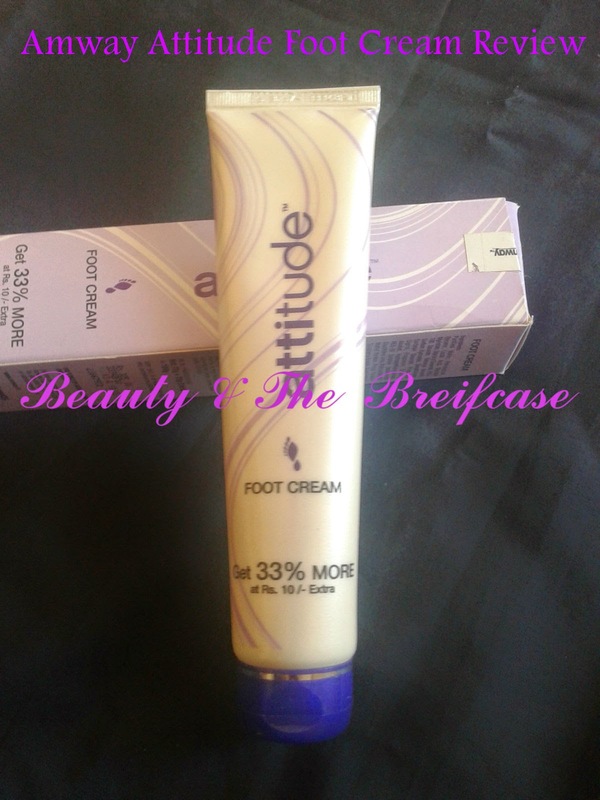 Amway Claims: Attitude Foot Cream, rich in emolliments, contains effective moisturizers for the skin. It helps cracked heels and smoothes & softens dry rough feet. 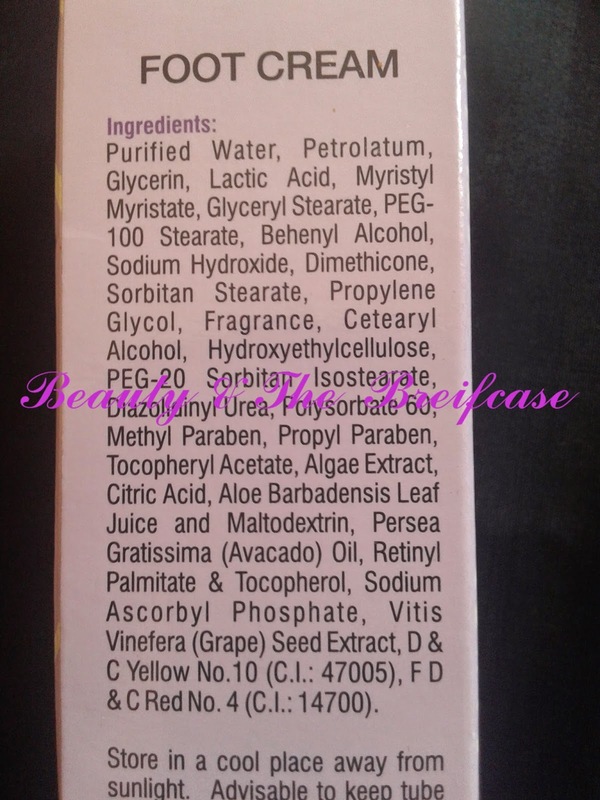 It has Vitamin A, C, E, Natural Fruit & Botanical Extracts that helps to nourish & moisturize the skin. Generally, people are under the misconception that they can buy Amway products only through the consultants. It isn't like that any more. You can buy this foot cream here, here. Online you will get the 75 g variant as i got the 100 g variant during an offer. The product comes in a white tube which needs to be kept in an upside down position. It has a flip cover and you need to squeeze the tube to get the amount of product you need. The packaging is sturdy and travel friendly. The product won’t leak if the cap is shut. The cream is white in color. It has a very soft buttery texture and medium consistency. It is very easy to apply on the feet. It gets absorbed into the feet very quickly. I can’t really point out what it smells like, but its pleasant – nothing too strong. Now the most important aspect, is it effective? Yes it is! Within a span of one week I could see that my feet had become softer and I like it. Earlier I used to use it on a daily basis when my feet were very dry. Now I use it twice a week. 4. You can see visible results in a couple of days of regular application. Do I Recommend? Yes, if you are looking for a good and effective foot cream. Will I repurchase it? Yes, I’ll repurchase it. It’s a lovely product whose effects can be seen in a short period. It’s worth every penny! Do leave your views in comments!